I attended the Press Preview of Countess LuAnn de Lesseps Countess Jewelry Collection in New York City and thought Fashion Friday would be the perfect day to share the highlights with you! 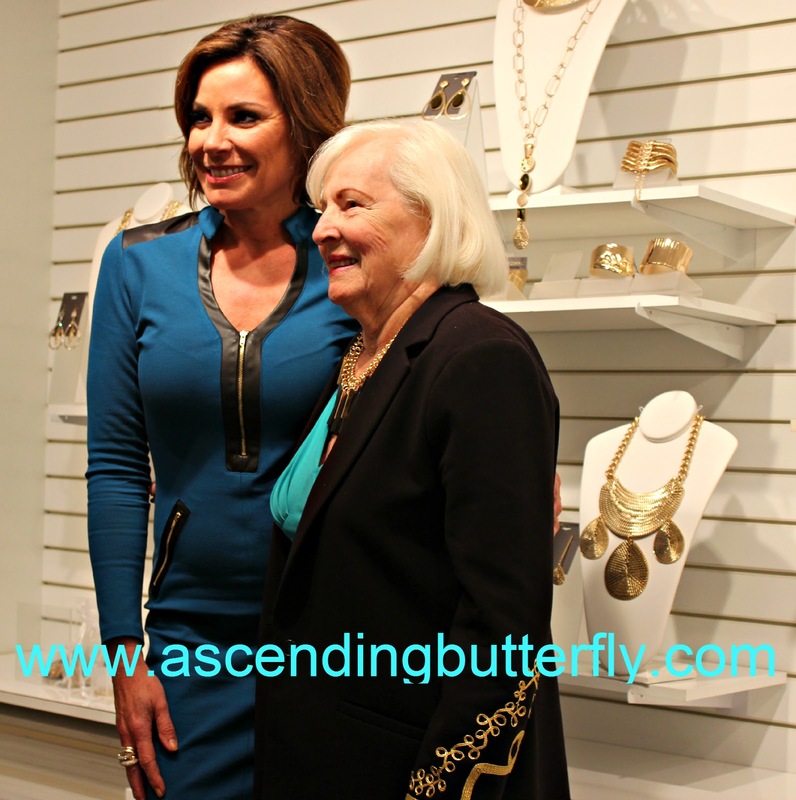 Yes, 'that' Countess, Countess LuAnn de Lesseps from Real Housewives of New York (#RHONY) television fame, launched her jewelry collection October 16th via evine.com. Gotham City Wear - a collection inspired by the 'Fashion Mecca' that is my hometown New York City - think Bold Statement Pieces for a night out. Above: Can't you just picture this and a cute little black dress for New Year's Eve this year? 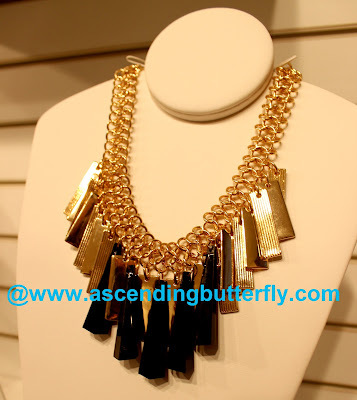 Above: The Feathers Trend in jewelry tends to come and go, this one has a got a ton of 'texture' and presence. Above: While I probably wouldn't do such a large simulated pearl on my neck, I do like it here. 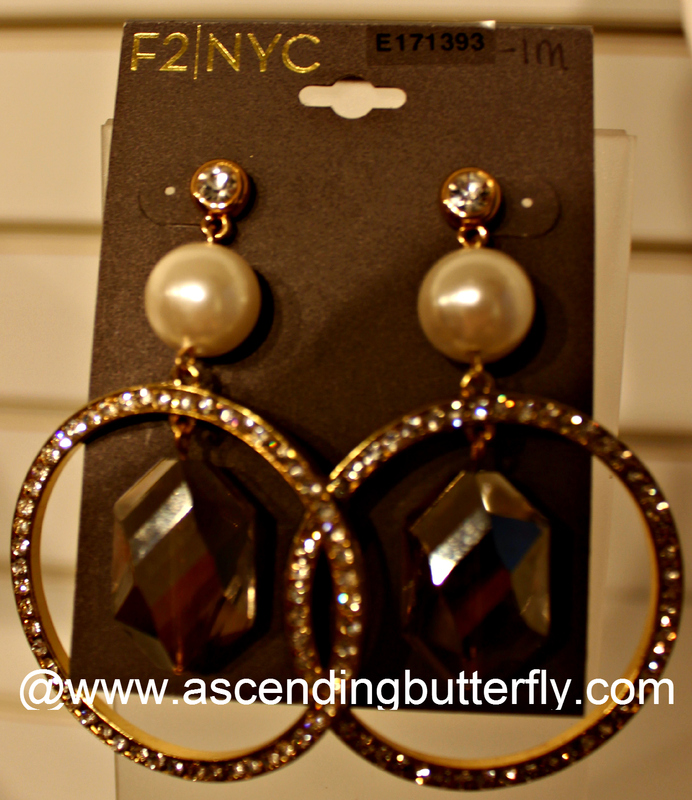 The larger simulated pearl does work on the earrings for me. 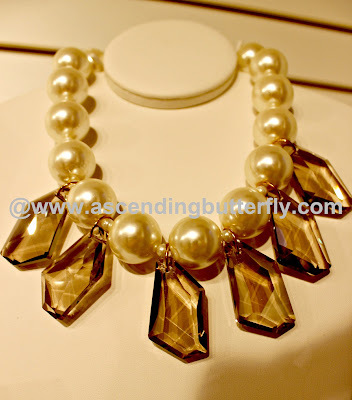 Above: Super sophisticated Statement Necklace! I am a HUGE admirer of Southwest and Indian inspired Jewelry and while I am a statement necklace lover at heart (which drew me to the necklace on the upper right immediately), the piece that really won me over was actually the bracelet, so I got a good close up of it for you to really see the nuances that you might not see in the photo above. Above: I am so glad she modeled this bracelet showing that it works just as easily with a white shirt, blue jeans and western boots as it does with a dress! ABOVE: Silver or Gold? Decisions! Decisions! Thanks to the affordable price tag you can actually treat yourself to BOTH! The Countess wanted to create an affordable jewelry line and each piece in the collection is under $100, how great is that? Above: A recent horoscope suggested I buy something purple to wear to an upcoming event, I'm thinking this statement necklace would certainly fit the bill! 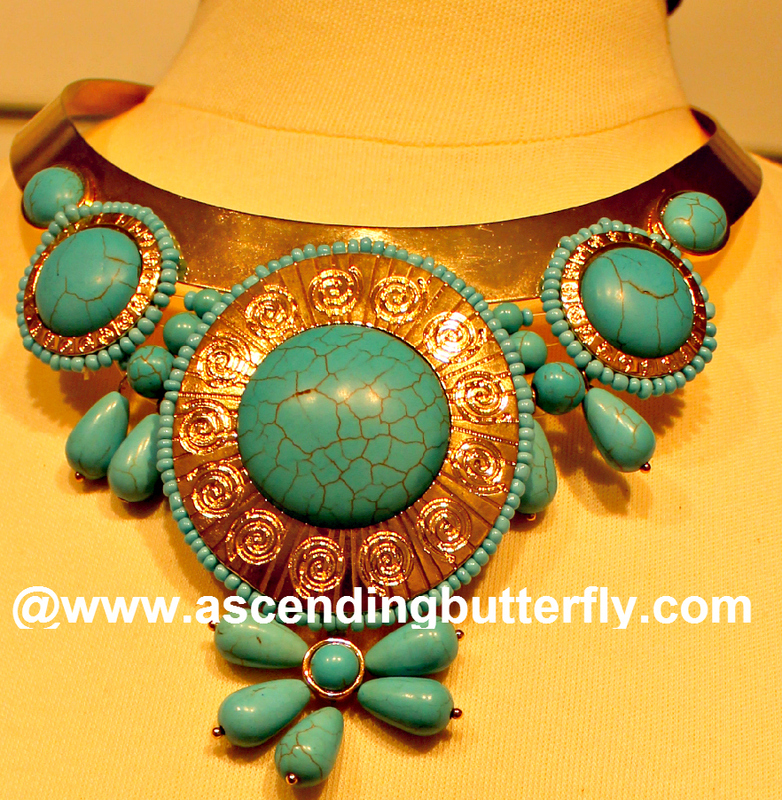 I wear a lot of Turquoise in the Summer, this would be killer with a White Pant Suit or a White T-shirt and Jeans! Above: The St. Tropez Collection was inspired by Countess LuAnn's travels to St. Tropez, I wish I was on the beaches of St. Tropez right about now! 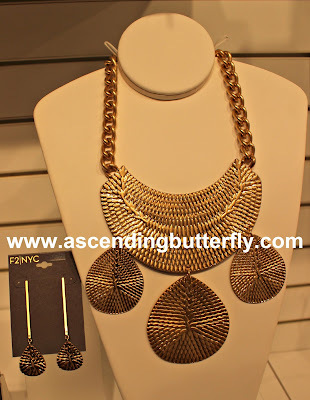 Above: I love this statement necklace and it's matching earrings from the St. Tropez collection. Curvy Girl Tip: Want to love your swimwear summer photos a bit more? 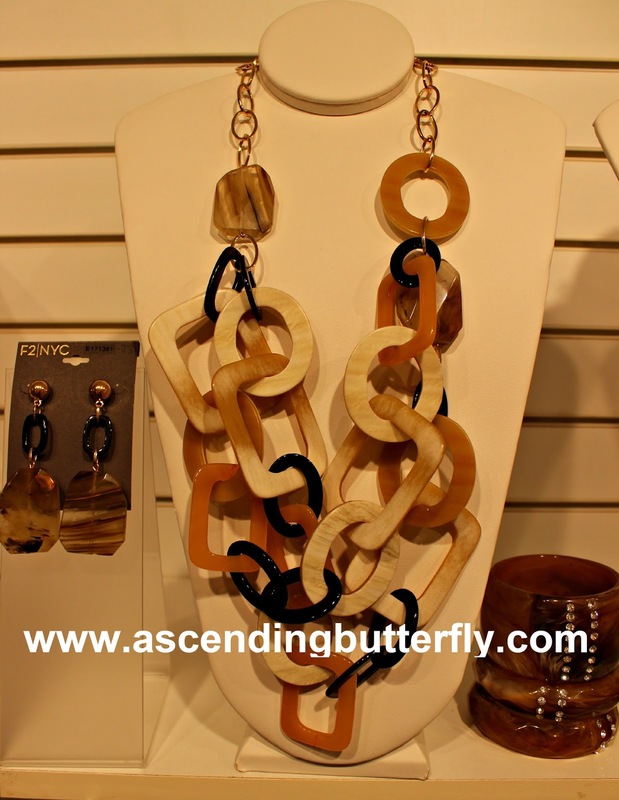 Wear bold earrings and a statement necklace like this one to take your swimwear photos, it pulls the eye toward them and helps you camoflauge the areas you don't want the eye to zoom in on. I think this set would look perfect with a black swimsuit and a breezy, flowy open cover up! ABOVE: For some reason the single strand version gives me a retro sort of 70's vibe that matches the 70's looks making a resurgence in Fashion for Fall this year, bell-bottom jeans, suede or leather platform boots and these pieces from the Countess Jewelry Hampton's Line pair perfectly together! I have a shot of LuAnn putting this necklace on her mom, I will save that one for the Pinterest Board. Gotta do some stuff on the Social Channels that I don't give you here to keep things interesting! 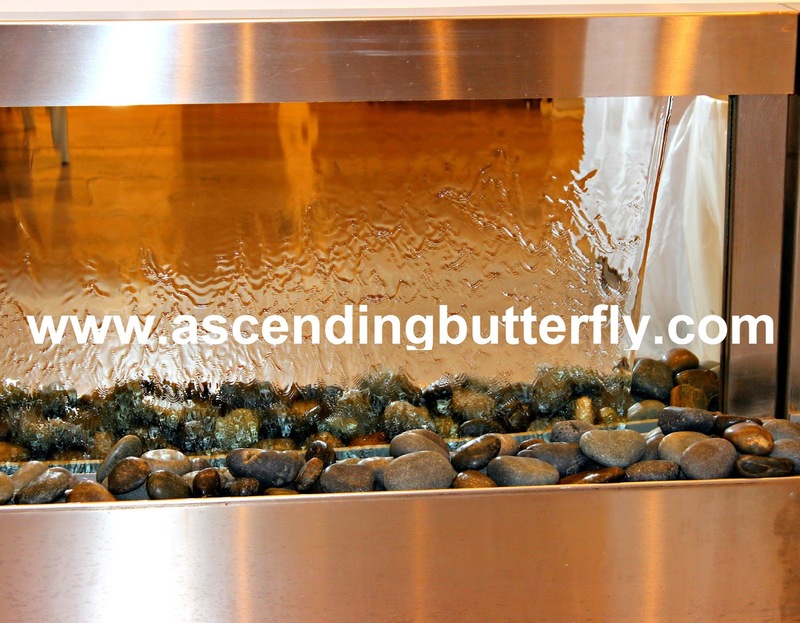 ABOVE: I have always been a big fan of Water Walls, I keep saying I should get one so I couldn't resist snapping this photo! I love how you can see through it. Note: I took way too many photos I will go Watermarking them and you will find these pictures (and a few bonus photos) in my 'Countess Jewelry Collection Press Preview' Board via Pinterest! I love that the collection is as versatile as it is affordable. With accessories you can easily spruce up your favorite basics, and in many cases swapping your accessories (jewelry, handbag, scarves, accesories) is way cheaper then changing your entire wardrobe over each season. I was pleasantly surprised by how to down-to-earth Countess LuAnn was, I guess as someone who is familiar with the Real Housewives Franchise you come to associate the 'show' with the 'person' and that sometimes isn't always good. Somehow Countess LuAnn's lovely Mother ended up at our table it was fun to meet her but also witness how sweet LuAnn is with her Mom! 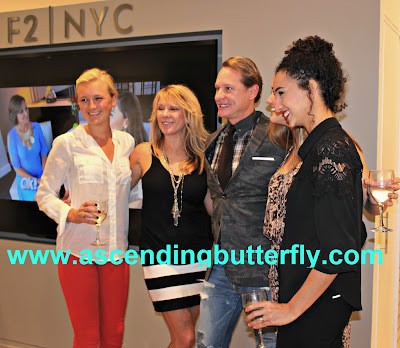 It was also fun to meet Carson Kressley in person too. And while The Countess was certainly a pleasant surprise I will say Ramona was definitely who I expected her to be. (Take that as you will). CON: There is only one con. During the event I got into a conversation with Countess LuAnn about Twitter and Twitter Parties, I mentioned to her the "Twitter Takeover" I was invited to host for Oprah Winfrey's OWN Television Network where I tweeted from the @OWNers handle directly for a prime time weekend. SHE LOVED THE IDEA! I was super stoked at the idea of not only presenting this collection to you all with a blog post, but with a tweet chat/twitter party that would have allowed you all a chance to win a piece to call your own. While I did reach out to her PR team that same evening to follow up, they never got back to me. I have worked many a 'sales' type job in my day - classified ad sales, staffing agency - I developed a thick skin and certainly am not afraid of the word 'No'. But I hate being ignored, particularly when the client themselves actually WANTED this to happen BEFORE the line launched on evine. It would have been a super viral way to promote the line and I do hope they see this and opt to follow up on the idea eventually. Overall I loved the line and found something from each of the four premiere collections in the line that I would totally rock. With the Western Chic and Gotham collections standing stronger for me in terms of my personal style. Readers Sound Off: WHICH OF THE FOUR PREMIERE LINES IN THE COUNTESS JEWELRY COLLECTION IS YOUR FAVORITE AND WHY? Want Bonus Brownie Points, (of course you do!) visit evine.com and pick your favorite piece and tell us which one it is! I would love to accessorize more! Very beautiful peices, and I love our outfit! Wow there is a lot of beautiful pieces here. I wold have a hard time picking just one piece. I would love to surprise my mom with one of these pieces. I absolutely love the Countess's collection. 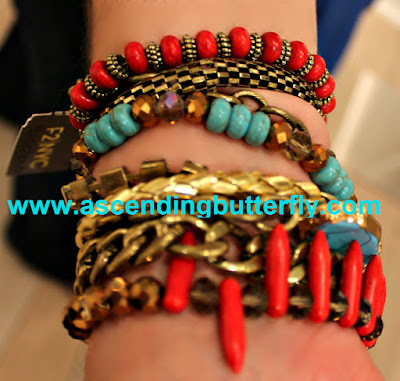 My two favorite pieces are the feather necklace (I just love that style) and the bracelets (those are great colors). Thank you for sharing with us. You have made huge brownie points possible for me this Christmas. My girlfriend loves chunky jewelry like this. I wish I was a jewelry person. I know how jewelry can really change the look of an outfit and these pieces look fantastic. What a great experience! Isn't the Countess a pip? I met her for a brand awhile back. She was very nice. And tall! 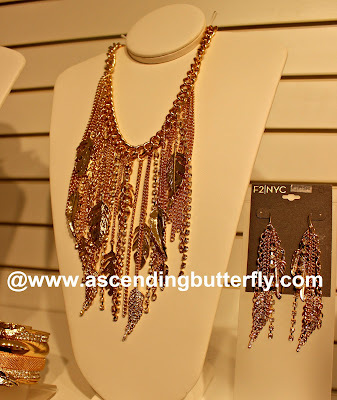 I think I like the feathers theme jewelry the best! It just has such a unique look about it. (On Behalf of Stefanie C.) I love the purple and turquoise ones! 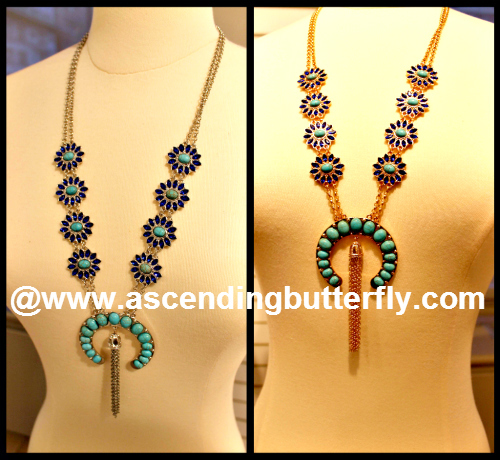 I'm a huge fan of both colors when it comes to statement pieces like these! Thanks for sharing these beautiful collections! I'm ashamed to say I've never heard of her before but wow, this jewelry line is absolutely stunning. Wow what a wonderful collection of beautiful pieces. 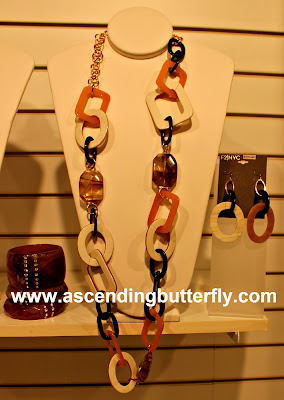 I am always astounded that there is so much creativity in jewelry pieces - the designs are so wonderful. There are definitely a few I would like to have in my collection! I love how bold these pieces are! They're gorgeous. But I do hope that they realize what a great marketing proposition you made them - there's nothing better than taking a line viral on social media. Nice to see a line of jewelry that's fashion forward yet priced for the "average " you and me ! My favorite is the western Chic and the Hampton necklace , their were a few other piece as well . I am loving these the feathers are my favorite I know if I wear it around town people will be dying to know where I got them from. Wow! 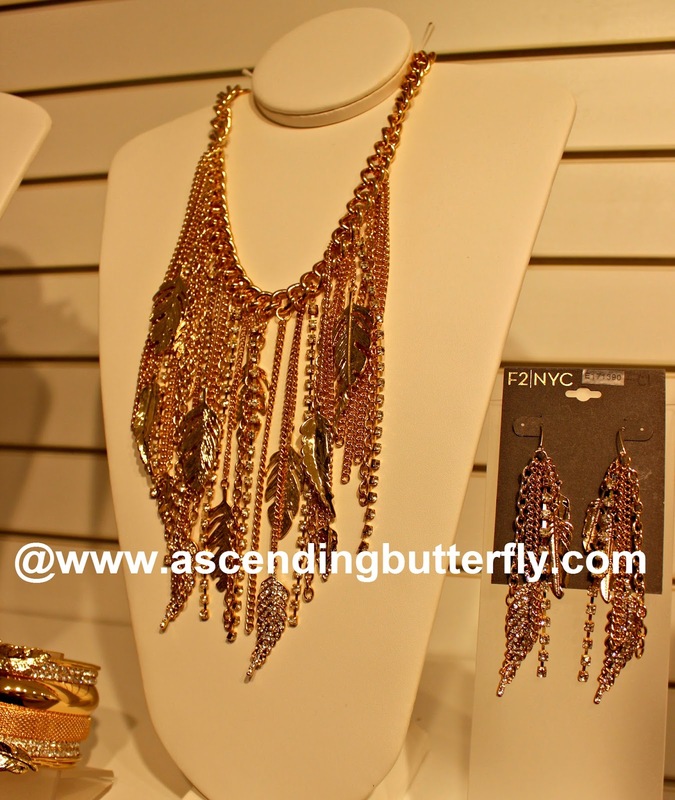 This jewelry is absolutely gorgeous! 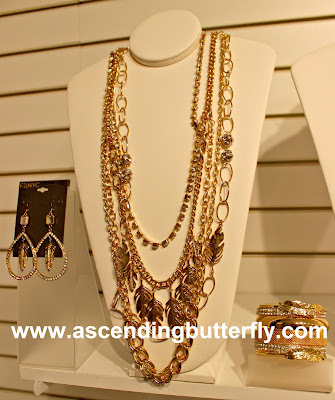 I love the pieces and accent with the Statement Necklace in silvertone and goldtone. Both would pair wonderful with some of my wardobe! I am practically drooling over some of these gorgeous pieces. I can also see myself becoming a big fan of the feather trend. 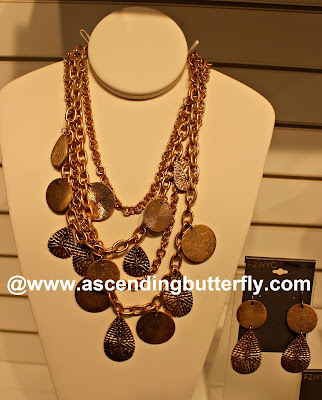 I love chunky jewelry - these sets are gorgeous. 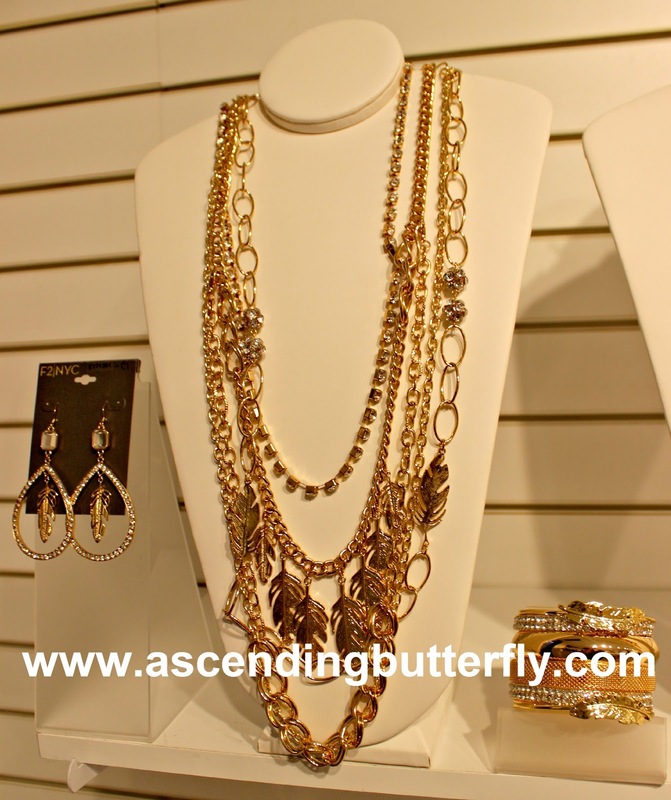 The jewelry line looks great and is fabulous for any outfit! 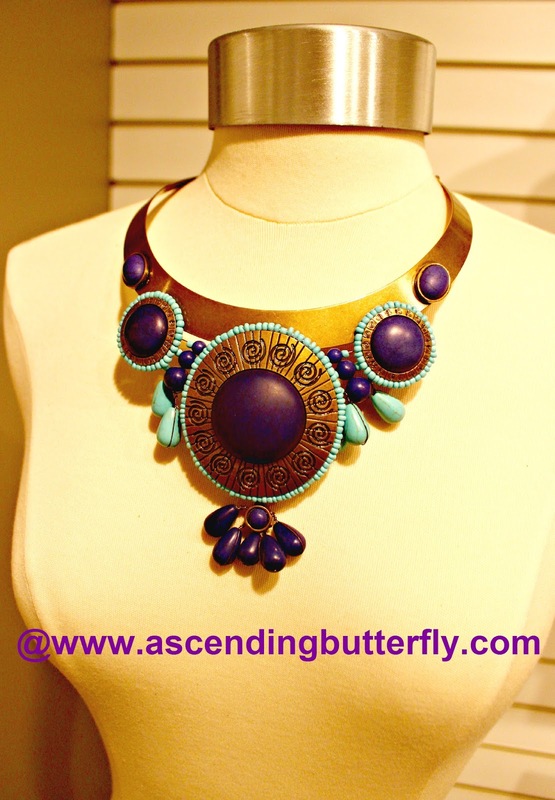 I love statement necklaces so I am really drawn to the pieces you showcased here. Thanks for sharing! Her line of jewelry will definitely get you noticed! I love the big, chunky pieces! I love the dress she is wearing. The jewelry collection are also gorgeous! So many beautiful pieces of jewelry. 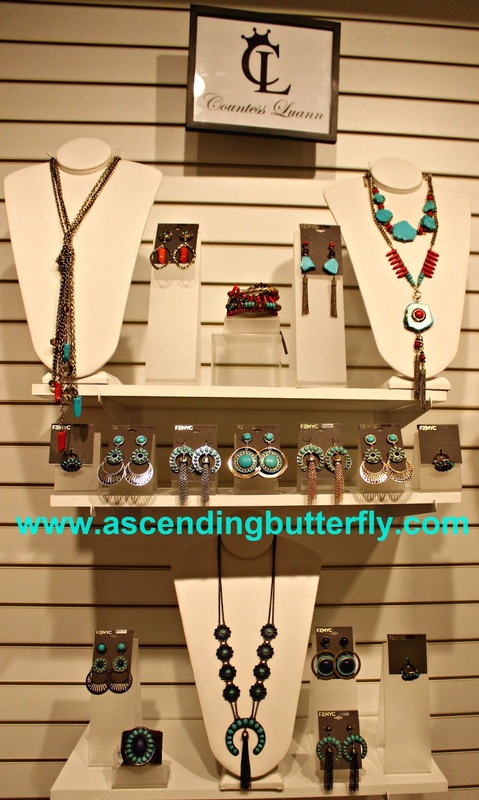 I had not heard of this line of jewelry before today! I love finding new designers of jewelry. I love the colors and the designs of the pieces of jewelry. There are some lovely pieces here! My favourite is the large simulated pearl earrings. 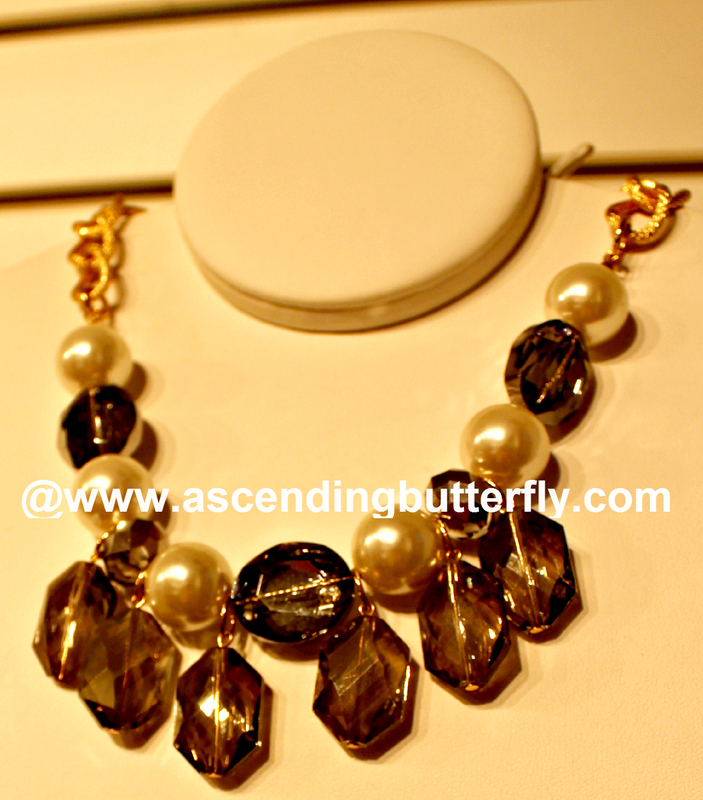 I have a weakness for pearls combined with stones. They are so, so pretty! 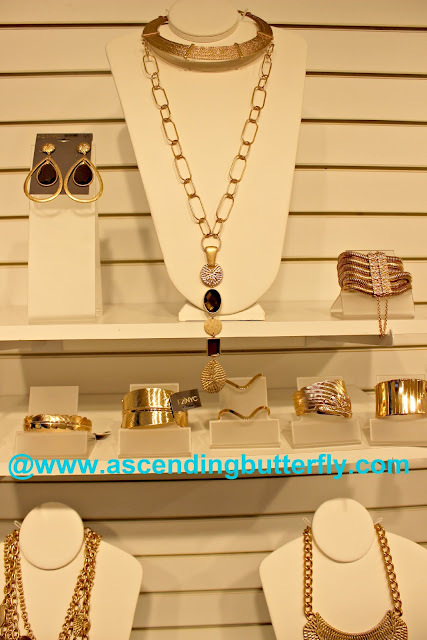 Lots of amazing jewelry! I think the pearls were probably my favorite, though the bracelets were also really pretty. I am really out of it in regards to TV and stars, so had no idea who anybody was. Out of morbid curiosity, I did Google Ramona Singer and just looking at the headlines gave me a strong impression of what she might be like! Anyway, I am not a jewelry person because I have a lot of texture, sensory issues, but my mother-in-law and daughter are, so I will keep an eye out for this line and it is totally their style. 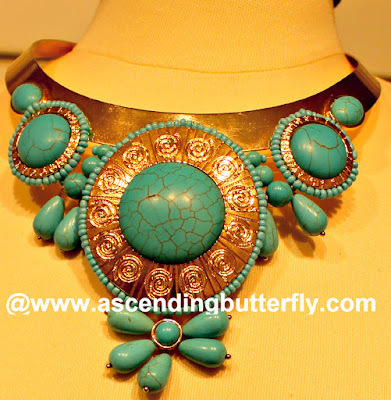 Especially the turquoise, my mother-in-law LOVES turquoise and it looks really good on her too. Her line of jewelry is very nice. I don't usually where chunky pieces but these are really pretty! I really like the Western Chic collection. You're right that the bracelets could go with a dress as easily as jeans. I love all of these. I think the feathers trend one is my favorite though! Those are some really original pieces of jewelry. My daughter is a real fan of turquoise so I will be sure to share with her. This sounds like a fun event. I would love to see and try jewelry! She has an amazing collection. I love the simulated pearls and the coral bracelets. I love that they are affordable. The jewelry line looks amazing. I don't wear a bunch of jewelry. I like very simple stiff if I wear any. I hope they contact you later. Maybe you could send the pr team a follow up as a reminder. I love all of the bold pieces. They really are personality boosters! What a great collection! I especially like the layered wood chain necklace. Very chic! Love that statement necklace from the western collection. I either like dainty or over the top necklaces. So many beautiful pieces of jewelry. I know my daughter would love any of these pieces in her collection! This looks like a really cool event. I used to love Queer Eye for the Straight Guy with Carson on it. I see a few pieces I would totally wear myself. 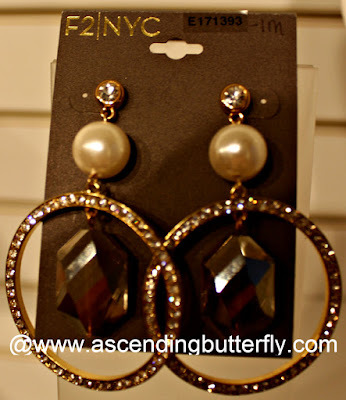 I like the earrings with the pearl the best. I like the sparkle.